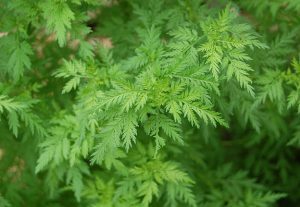 A relative of Wormwood and Mugwort, Sweet Annie is also know for its bitter and cooling nature. A native to china, but now widely grown and naturalized. Sweet Annie is best known for its use in treatment of malaria and its antimicrobial and antiparasitic properties. Sweet Annie’s cooling nature helps clear heat throughout the body. Sweet Annie is best used as a tincture both for malaria and as preventive medicine. Chris Marano suggests 10-30 drops 1-3X daily and a higher dose if addressing parasites. Cautions/Contraindications: Not to be used with diarrhea. May cause allergic reactions or dermatitis in some people.